Kruz Davenport is five years old and is a native of Muscle Shoals, Alabama. Kruz is the dinosaur-loving expert. He loves all things dino, he loves to learn about them and even set up a Jurassic world play area. He’s also into farm and zoo animals. He has the sweetest little voice and will melt your heart into a million pieces. He’s strong and knows he doesn’t live a normal life like other children right now, but he’s hopeful to one day go to school. He was diagnosed with SIOD just days before his third birthday. I remember the phone call so vividly. Leading up to his diagnosis we knew things weren’t adding up. With Kruz, there were so many missing puzzle pieces, and finding those pieces took two years and a number of doctors. We NEVER gave up. When one doctor's conclusion was “I don’t know” we moved to the next physician who could help find a piece of the puzzle. When they finally got the diagnosis on paper the word fatal stuck out. It was gut-wrenching. I remember my insides physically hurting but she persisted. I knew that Kruz depended on us, as parents, to fight and advocate for him. Not long after we realized we would be advocating for both of our children. Kruz has endured a number of medical conditions caused by SIOD. From as early as six months old he began showing signs of light sensitivity. This was alarming to us so we mentioned it to his physician. This led to brain scans, neurological testing, which eventually leads to urine samples and kidney teams. 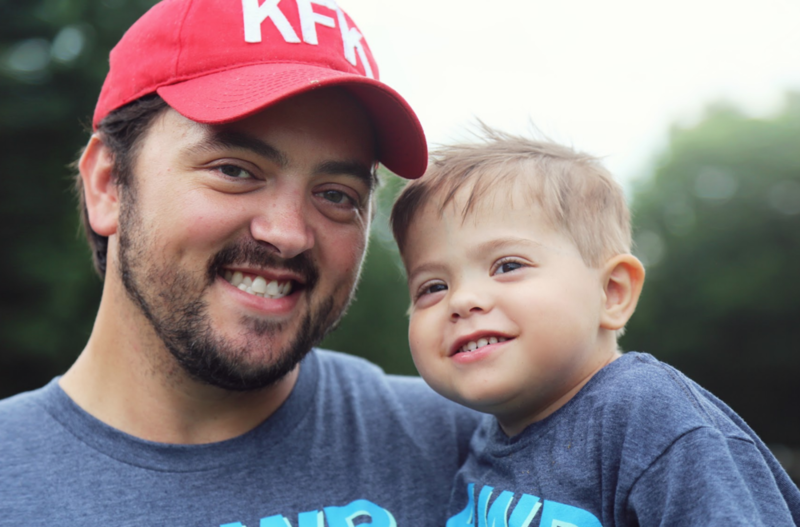 Kruz started spilled protein in his urine around age three, soon after diagnosed with nephrotic syndrome. He was a born prematurely weighing 3 lbs 6 oz, we always thought he was behind on growth chart, but really it was the short stature from SIOD. He has a T cell deficiency which is a super low immune system. Kruz was born with one kidney so eventually, that kidney took a beating from nephrotic syndrome. He’s been on dialysis since May 2017. Thankfully Kruz has a treatment plan now. Kruz received an allogeneic stem cell transplant at Stanford by Dr. Alice Bertaina and soon will have a kidney transplant. It was important learning from SIOD research to have the stem cell transplant before kidney transplant and preferably from a parent/sibling. Now we continue to fund research for drug therapy to reverse the SMARCAL1 mutation or gene reversal while monitoring blood pressure and taking precautions/preventions for strokes and seizures. One of the hardest things our family has faced is keeping Kruz and his sister away from the world. We know the number one cause of death in SIOD patients is infections. They are high risk for contacting any germs, so for the last three years we’ve kept them away from birthday parties, play areas, large crowds, even family functions during sick season.